If style is your driving factor in any piece of clothing that you pick, we have just the thing that you need. This ‘The Blue Edge Short Designer Cotton Tunic’ by Snehal Creation stands out in term of design with its kitsch color and silhouette. A boat neck taped with magenta taping and decked with embroidery is an instant winner. 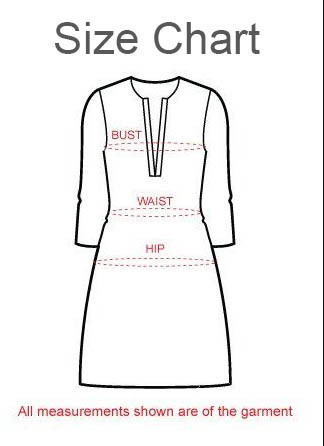 This one is a full sleeved tunic and safes you from scorching summer sun while cotton provides comfort in heat.